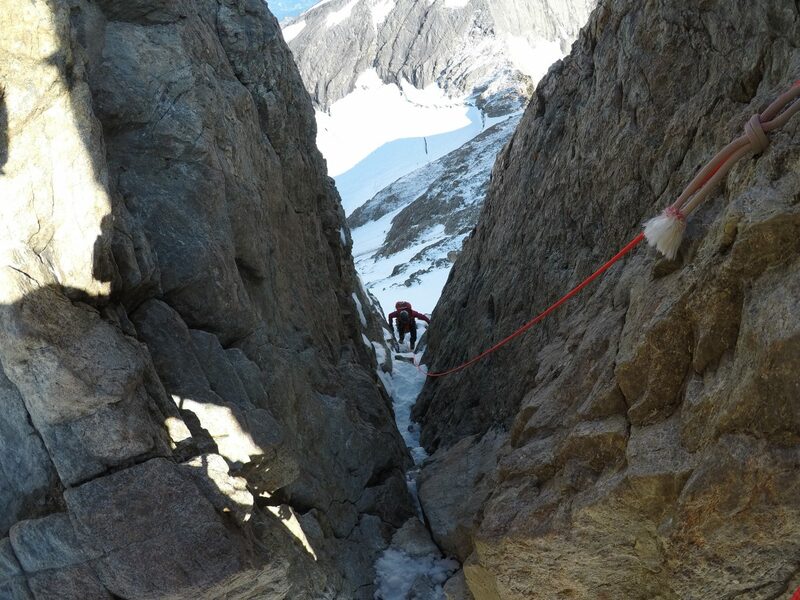 This superb route features difficulties on both snow and rock, and even the hut approach is a good alpine climb in it's own right! Tip toeing along the final snow arete, with the north face and all its history below is a memorable experience. This two or three day trip is an extension, rather than a stand alone trip. 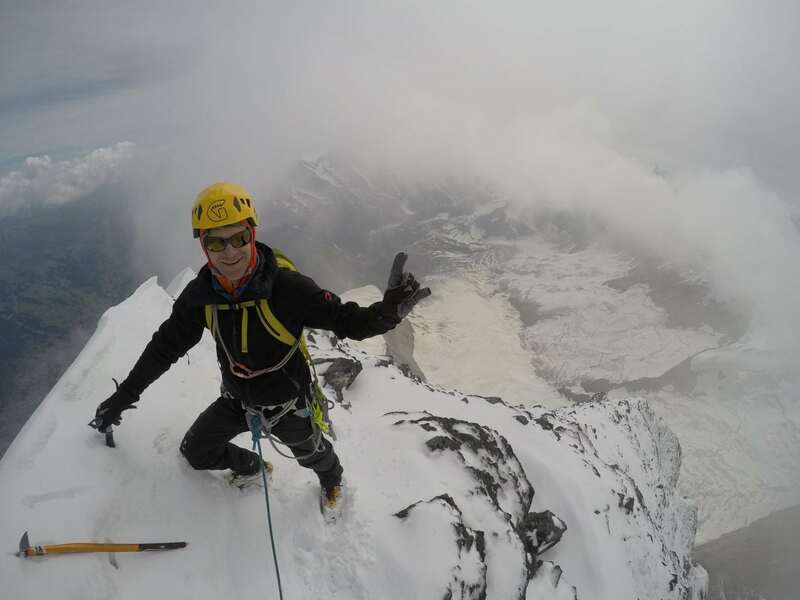 You will have completed a three day climbing and acclimatisation block with us to ensure your preparation. 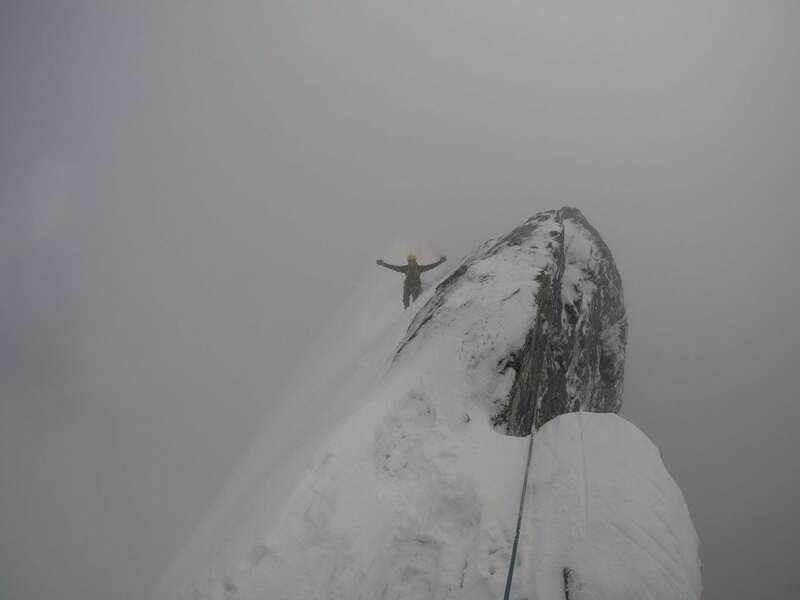 Please read our detailed Eiger Page for full information on the climb. 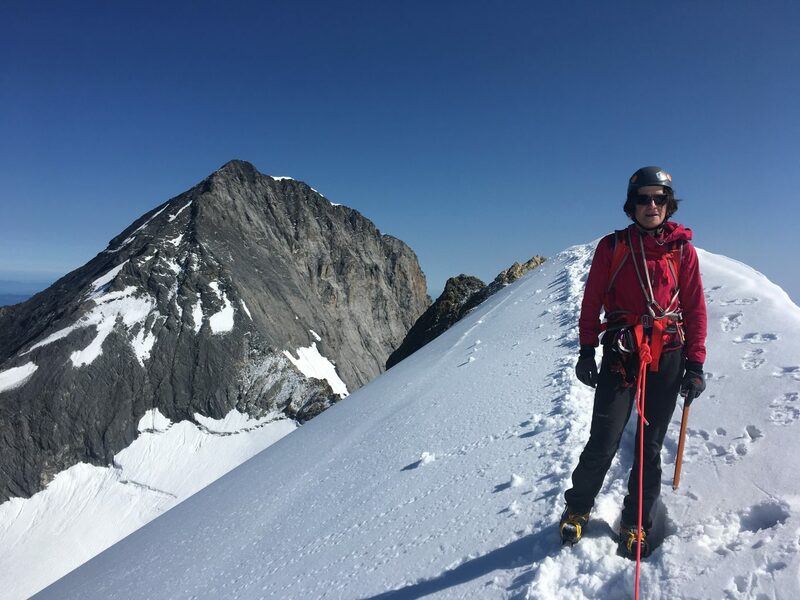 Before attempting the Eiger you should have a solid base of alpine mountaineering experience including several climbs of an AD grade. 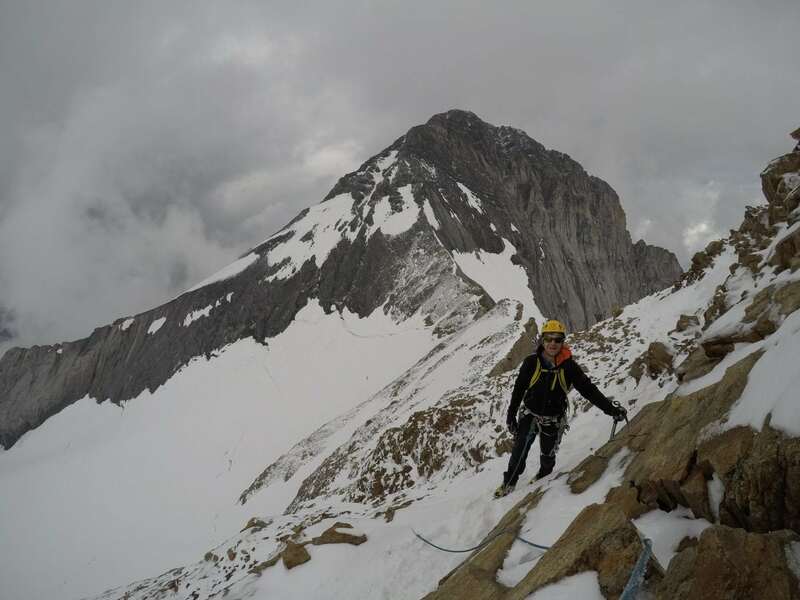 The Dent du Geant, Matterhorn and similar routes are good preparation for this challenging climb. 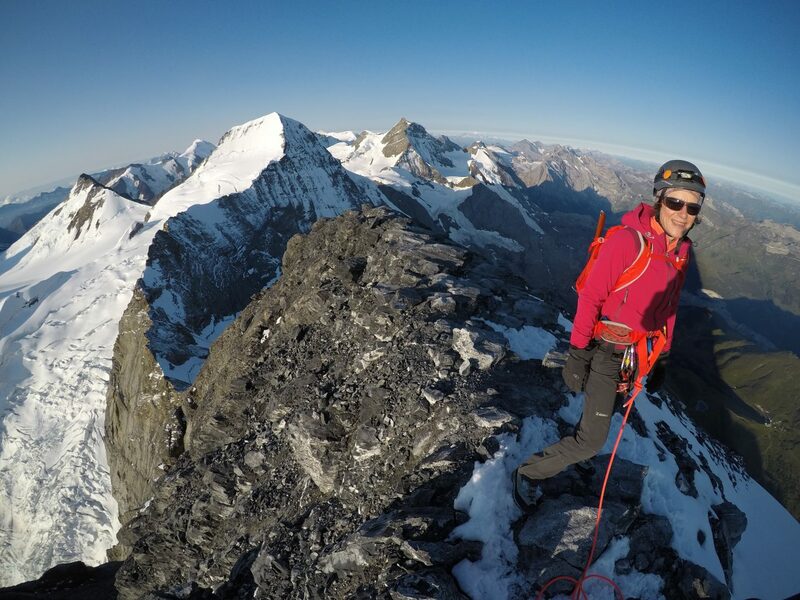 You can book a two or three day Eiger extension with us. Three days gives you more options in terms of weather and conditions, although you would still get one "proper" attempt on the mountain itself. We travel to Grindelwald from Chamonix and use the lift system before walking and climbing to the Mittellegi hut, which is around a two hour climb. Sometimes we have a quick Reece of the lower mountain, but mainly this is about getting into position for the big day ahead. 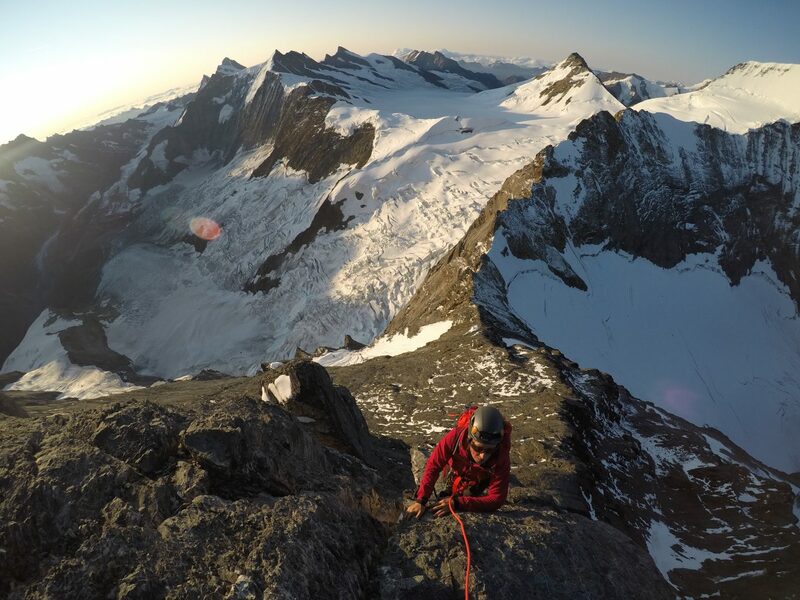 Ascent of the Eiger 8 – 10 hours round trip, traversing the mountain via the Mittellegi ridge or up and down the south ridge. Spare summit day. 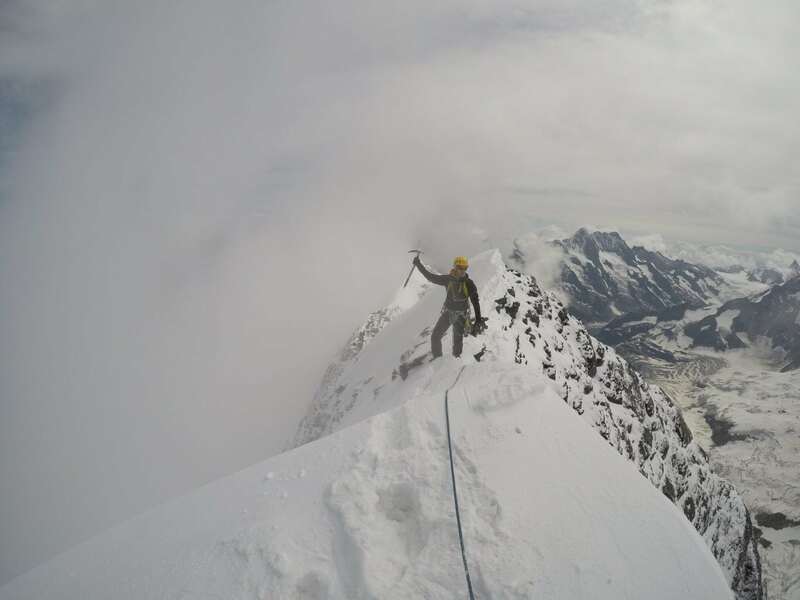 We can climb around Chamonix, developing our skills whilst doing some good climbing pre-Eiger. If we have sumitted the Eiger on day two then it's possible to stay in the Monchjoch hut and climb the Monch on the final day. 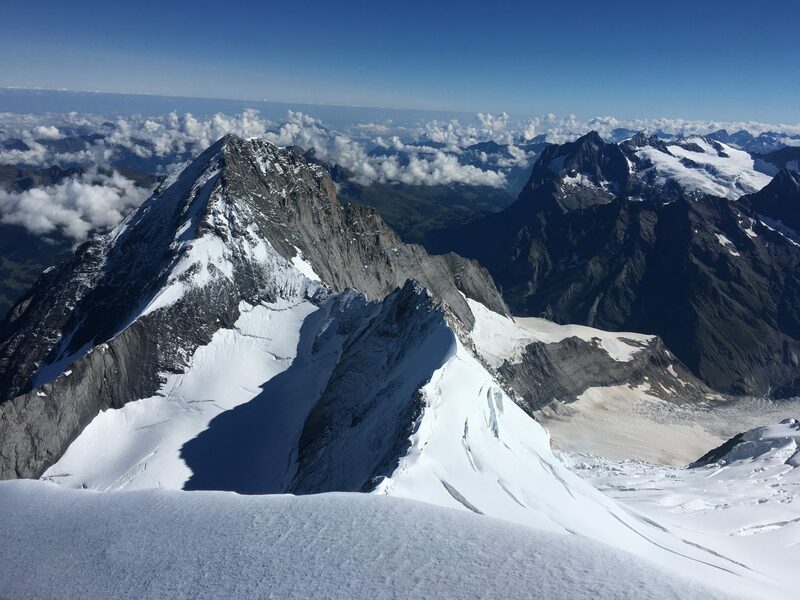 We have set our prices to be as flexible as possible, and so if the conditions or weather on the Eiger are not suitable we would climb elsewhere and therefore could save you some money compared with travelling to Grindelwald. We pay the hut deposit (which is non-refundable), you would cover lift passes and remaining hut fees for both you and your guide during the trip. Guiding fees, logistics, travel to Zermatt from Chamonix and one night in the Mittellegi or Monchjoch hut for you and your guide. Lift passes (including guides pass which you will need to cover), Chamonix accommodation, equipment rental, insurance, flights and any other expenses not listed above.